You probably purchased your Sony Xperia for a significant discount but are now stuck with the same network for a couple of years. You loved the device but your network provider does not have any plans that exactly suit your needs. To release your device from your current network's clutches, you will need to unlock your phone. There are three ways you can do it and this post will go through each method so that you can find one that you are most comfortable with. Do note that if your contract has ended with your network provider, this "How to unlock Sony Xperia" post can be skipped as you can just ask them to unlock your phone or purchase a sim network unlock pin for a minimal price. 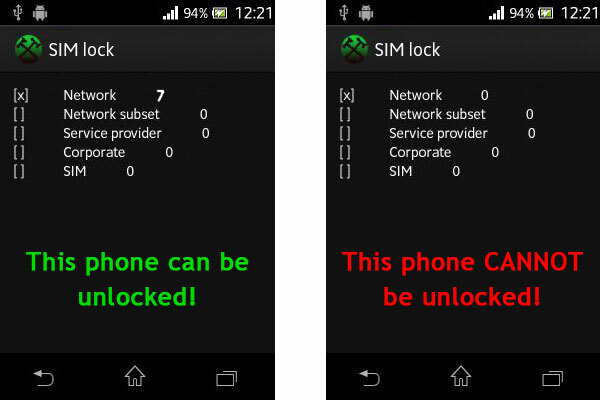 This is probably the easiest, no-fuss method to sim unlock Sony Xperia. 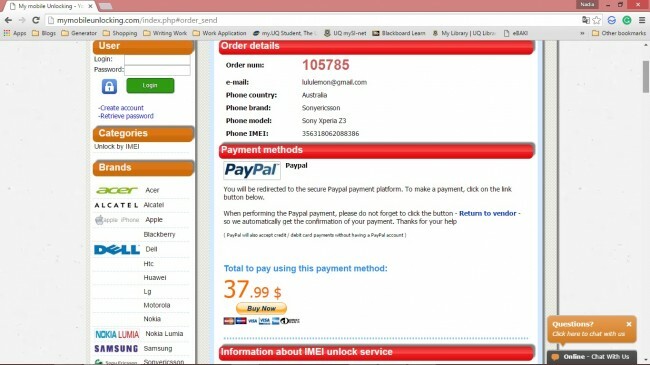 Follow these steps carefully to successfully perform Sony Xperia unlock code. 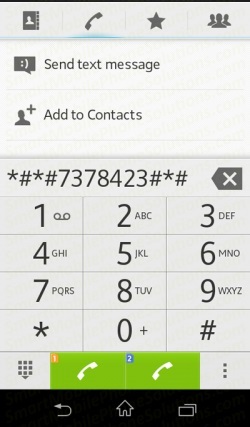 Check the SIM lock status---you can do this by dialling *#*#7378423#*#*. Tap Service info then Sim lock . The number beside Network indicate how many attempts you have to unlock the phone. If it says '7' it means you have seven attempts; '0' simply means it is hard locked and cannot be unlocked using this method. Find the IMEI number by dialling *#06#. Jot it down as this will be your code. 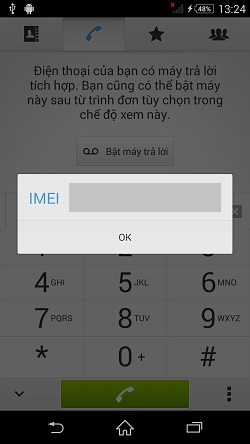 Insert your new SIM card and tap in the IMEI number when it asks you for SIM network unlock PIN. If you have followed these steps to a tee, you should have unlocked your device. If you had to abort after Step 2, look at the other two methods below. 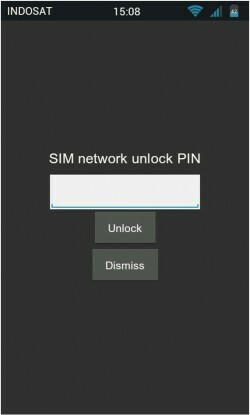 To safely and successfully sim unlock your Sony Xperia, it is important to find a trust-worthy sim network unlock pin software. Here I am going you present you dr.fone - SIM Unlock Service. 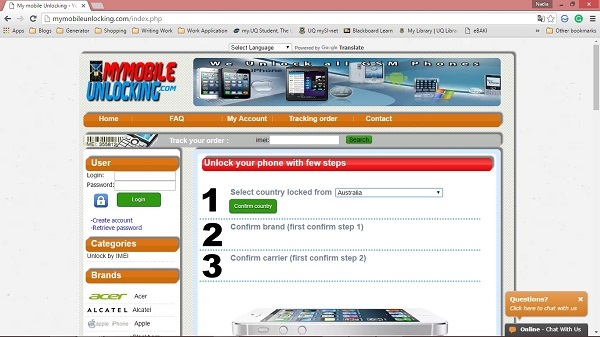 It definitely is one of the best sim unlocking code generators in the market. 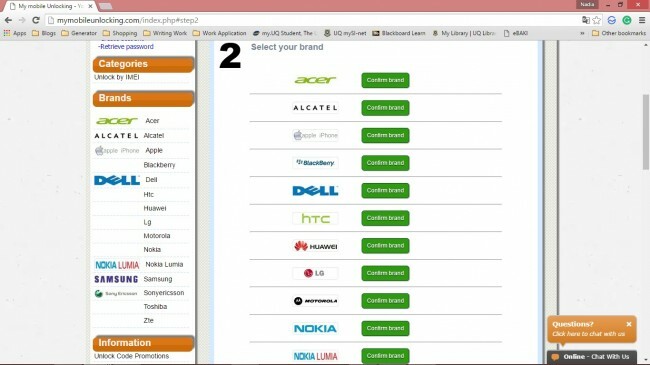 It helps you permanently sim unlock your phone so youc an use it on any carrier providers you want in the world. Step 1. Visit dr.fone - SIM Unlock Service official website, click on Select Your Phone button, and then select Sony among all the phone brands. Step 2. On the new window, fill in your phone IMEI number, model, your contact email, and other required information. 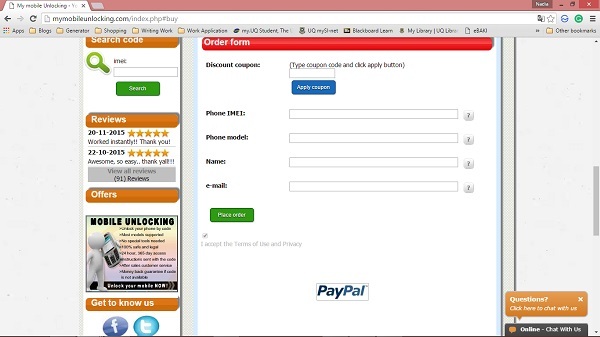 Once your order is processed, the system will then send you the unlock code and instruction. You can follow the instruction to unlock your phone easily. Get a new SIM card from a new carrier. Call your carrier's customer service line and ask what are the requirements to qualify you to get your Sony Xperia unlocked. If you have honoured your contract, there should not be any problems. However, do ask your carrier if there are any additional requirements. Do note that there may be fees involved. Once your customer service representative has determined if you have met all their requirements, they should give you the SIM network unlock PIN Sony Xxperia. Again, depending on your carrier, they might either give you the code over the phone, through email or via SMS. If you have the choice, always opt for email or SMS so that you are able to jot down the right number. Once you have gotten the code, insert the new SIM card (from your new carrier). You will receive a prompt to enter your code. Make sure that you key in the right code---entering the wrong code will cause your phone to be locked (possibly forever). There are some of us out there are just not confident with doing things ourselves or trust our own carrier. HOWEVER, if your first instinct is to head to Google Play to look for SIM unlock tools, heed these cautions. There are currently many apps that claim that they can unlock your phone but it is just a scam. You should also avoid torrent files available online. These apps and software are usually laced with Trojans and other types of malware. So do sort through the reviews so that you will not fall intro a malicious trap. Choose your Countryfrom the dropdown menu and click the Confirm country button. 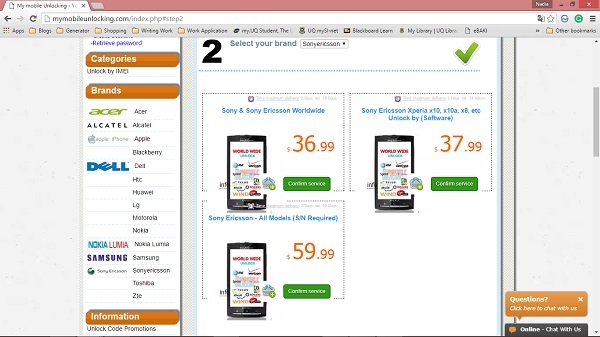 Select your device Phone Brand (Sony Ericsson) and click the Confirm brand button. Choose the Service that you want and click the Confirm service button. Click the Buy now button and complete the order form. Once you are finished, click the Place order button. Make payment for the service. Follow the instructions carefully. You will then get the confirmation and code emailed to you. Insert your new SIM card into your Sony Xperia device. Key in the code when it prompts you to do so. If you now know how to unlock Sony Xperia but still do not know its advantages, we are here to help. As indicated in the introduction, unlocked phone users can freely choose the plans they subscribed to---on any carriers, in any countries. Therefore, if you travel frequently around the world, having an unlocked Sony Xperia would be beneficial. Using a local SIM card is much cheaper than paying for exorbitant roaming charges. You can also benefit from an unlocked Sony Xperia if you are the kind of person who likes to take advantage of current offers provided by your local carriers. 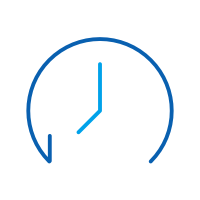 Prepaid plans are always changing in terms of offering so having the flexibility of changing carriers and prepaid plans can help you save money in the long run. Are you thinking "Well, why can't I just buy an unlocked Sony Xperia at the first place?" right about now? Well, you can but think of the amount of money it will cost you. For example, in Australia, an unlocked Sony Xperia XA will costs around $499 from any Sony outlet but $0 for the device when you pair it with a 24-month postpaid plan. 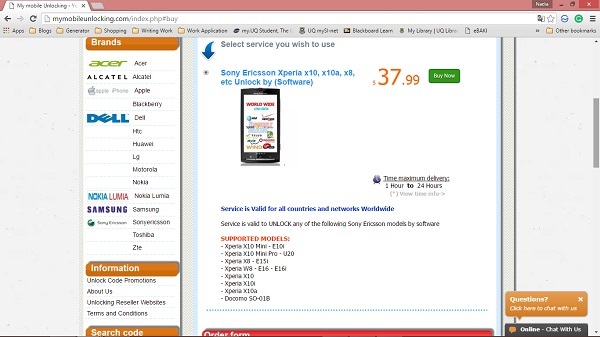 While this may look attractive now, you may be paying more for a locked Sony Xperia in the long run. Now that you know the three ways of unlocking your Sony Xperia, all you need to do is find one that is most compatible with you. Just remember to think of everything through and carefully. Most importantly, if you have a locked device, always seek advice from your carrier to see if this is possible.